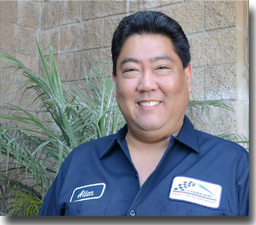 Certified Master Technicians Allen Otani and Ralph Olmos opened their own automotive repair shop on June 4, 2012. Located in beautiful Hermosa Beach, CA. A & R German Motors is owned and run by Allen Otani, Carrie Otani, Ralph Olmos and Cathy Olmos. 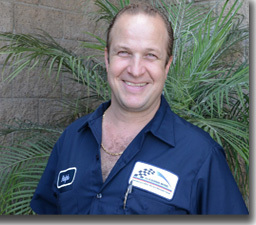 Allen, trained at BMW’s Factory Training Center, Allen Received two BMW Regional Technician Awards, and has over 31 years of experience in the industry. Ralph, Trained at BMW’s Factory Training Center, Ralph Received two BMW Regional Technician Awards, and has over 28 years of experience in the industry. We specialize in BMW, Mini Cooper, and Mercedes Benz repairs in the South Bay. In addition, we’ll fix and maintain your German vehicle quickly and accurately. Without the cost and time associated with taking a vehicle to the dealer. First of all, knowledge translates into faster, more accurate diagnosis and repairs. Also, Certified Master Technicians, Allen, and Ralph have the training and skill. And with over 27 years of experience in German car repair. In addition, we take pride in treating you and your car with special care. See what our loyal customers are saying about A & R German Motors. Testimonials also, whether you drive a luxury Mercedes Benz, a classy BMW or a fun Mini Cooper, we know European vehicles from top to bottom. Finally, each visit your European car will get a full and thorough courtesy inspection.